Who is this man ?? i was see he some where!???????? so nice !! 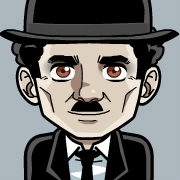 like the really charlie chaplin !